Simon & Schuster, 9781501172052, 352pp. From “The King of Christmas,” Richard Paul Evans, comes the next exciting holiday novel perfect for “fans of Debbie Macomber” (Booklist) in his New York Times bestselling Noel Collection. Maggie Walther feels like her world is imploding. Publicly humiliated after her husband, a local councilman, is arrested for bigamy, and her subsequent divorce, she has isolated herself from the world. When her only friend insists that Maggie climb out of her hole, and embrace the season to get her out of her funk, Maggie decides to put up a Christmas tree and heads off to buy one—albeit reluctantly. She is immediately taken by Andrew, the kind, handsome man who owns the Christmas tree lot and delivers her tree. She soon learns that Andrew is single and new to her city and, like her, is also starting his life anew. As their friendship develops, Maggie slowly begins to trust again—something she never thought possible. Then, just when she thinks she has finally found happiness, she discovers a dark secret from Andrew’s past. Is there more to this stranger’s truth than meets the eye? 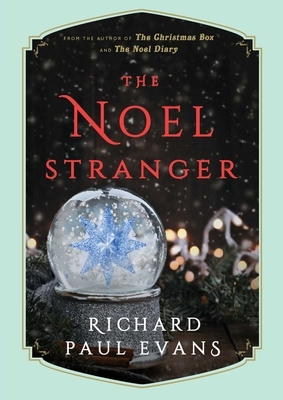 This powerful new holiday novel from Richard Paul Evans, the “King of Christmas fiction” (The New York Times), explores the true power of the season, redemption, and the freedom that comes from forgiveness.